Jalan Besar has the old school bustle and energy that I like. Certainly not swanky Shenton Way nor Orchard Road, but I would rather be here on a weekend or weekday. 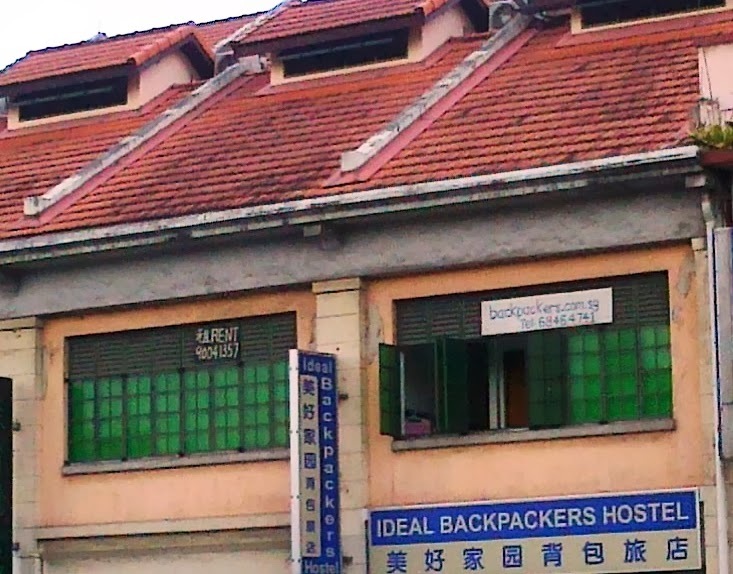 Haising Hotel (far right) is a budget hotel that is quite highly rated. 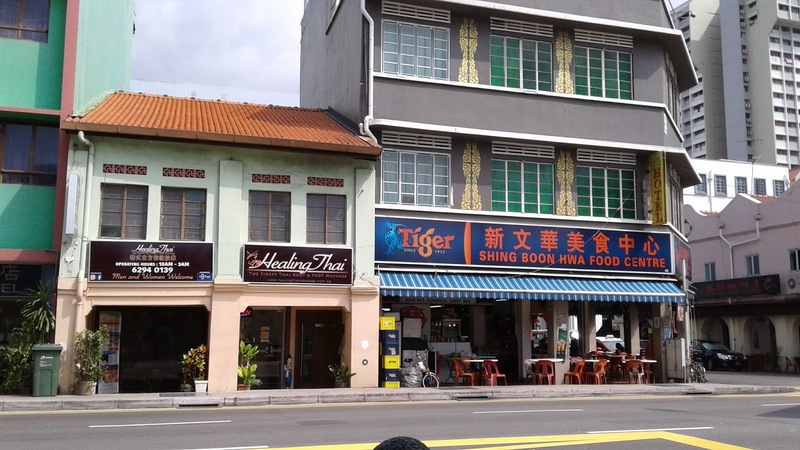 Quite a few old fashioned coffee shops can be found here too... maybe got nice wanton noodles? 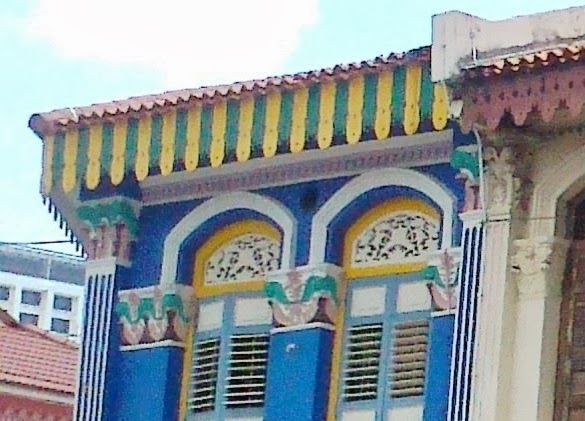 JALAN Besar was built in the 1880s across a vast nipah swamp, on land belonging to Richard Owen Norris, the son of an officer with the East India Company. It must be a really wide road when it was built because "besar" means "big" or "wide" in Malay. Apparently there were abattoirs for slaughtering pigs nearby at where Rowell Court is now, during the 19th Century. 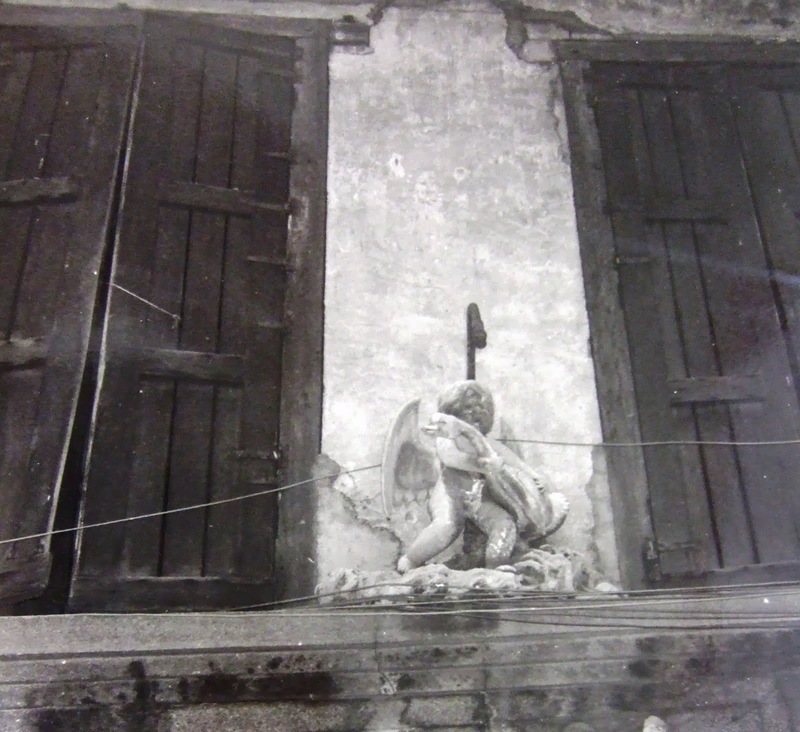 As it was near Kampung Kapor, the Chinese referred to the area as "Kampong Kapor's pig-slaughtering centre". 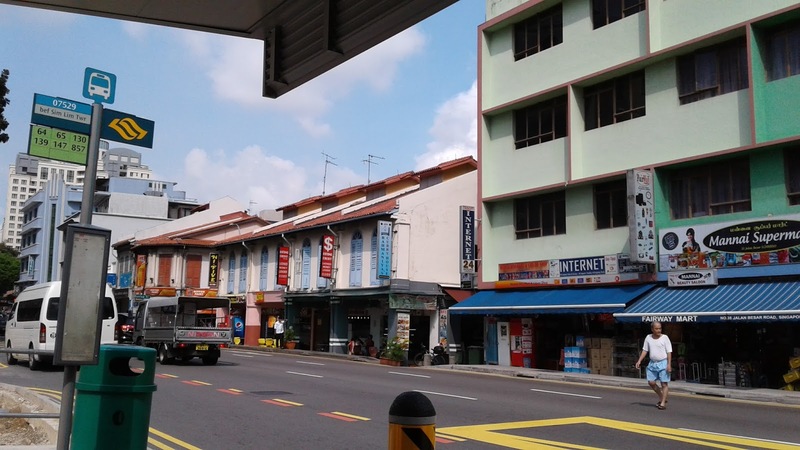 Jalan Besar, which has been gazetted a conservation area, leads into Bencoolen Street, another interesting area which has seen more changes and development than Jalan Besar. 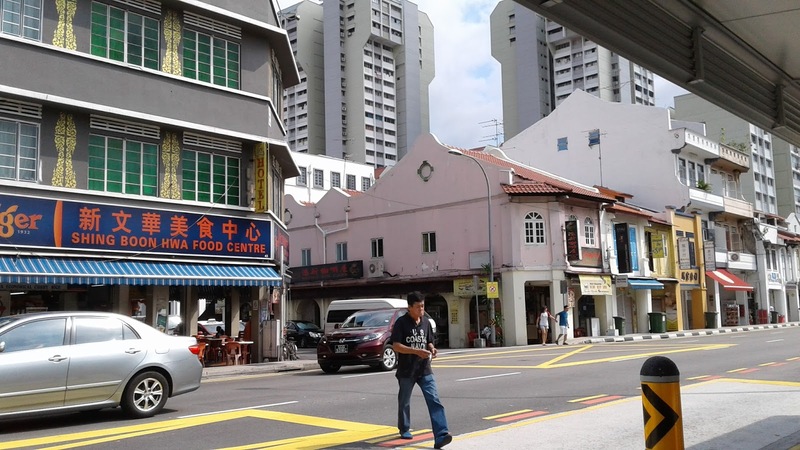 I like the low two-storey shophouses sandwiched between higher buildings. Pointed gable (far right) next to the pink gable with a slightly rounded mound at its apex. 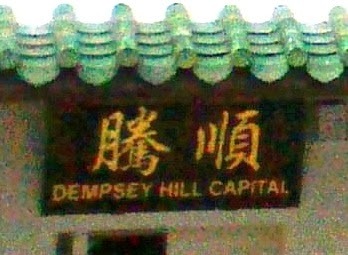 Pointed gable suggests fire element for the Chinese, while the rounded mound suggest either wood or water element. 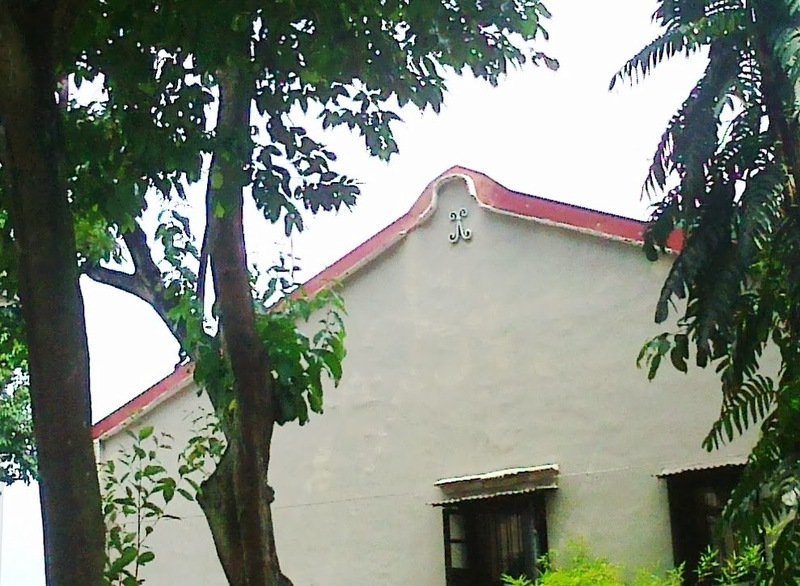 The earth element is depicted by a squarish tip on the apex of the gable.